Your new Stamparatus portable solution is here! The Stamparatus Carry Bag. It arrives next week and I’m so happy to bring it to you. It’s another way to transport your tools with you. Check my store on December 5th and see the new bag. Now you can carry your favorite tool everywhere you go. Also, you will have the opportunity to purchase the bag individually or purchase it as a bundle with the Stamparatus itself. The choice is yours. The Stamparatus portable solution makes it easier than ever to use your favorite tool often. Being able to carry your supplies in specially designed bags makes crafting easy and convenient. 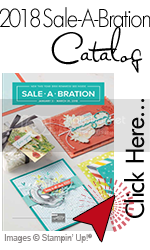 What better way to treat your most versatile stamping tool than to have the perfect storage solution. 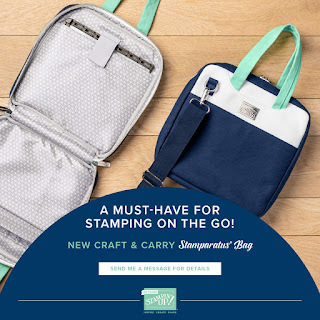 This new bag—complete with exclusive Stampin’ Up! branding—gives you a great opportunity to take the bag wherever you go. It’s a simple portable storage solution for your favorite tool. Visit my online store on December 5th for more information. Download the flyer here.